What is now New Zealand’s oldest political party emerged from a joint conference in Wellington of the United Federation of Labour, the Social Democratic Party (SDP) and local Labour Representation Committees (LRCs). Since the early 1900s a number of candidates had stood for Parliament under various ‘labour’ banners, including those of the Socialist Party, the Independent Political Labour League, local LRCs, the first New Zealand Labour Party (1910–12), the United Labour Party (ULP) and the SDP, which had been formed at a 1913 Unity Conference in Wellington. By 1916 there were six ‘labour’ members in Parliament − three elected as members of the now-defunct ULP, two as SDP candidates and one as an independent. They operated as a de-facto opposition to the wartime Reform–Liberal coalition government. 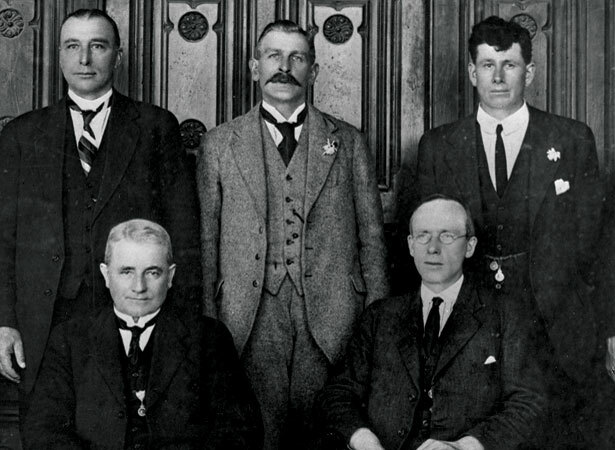 This grouping formed the basis of the second New Zealand Labour Party, which was established at a conference in Wellington in July 1916. Although the party’s name was a concession to the moderates, members of the more radical SDP held 11 of the 13 positions on its founding executive. We have 13 biographies, 1 article, related to New Zealand Labour Party founded.